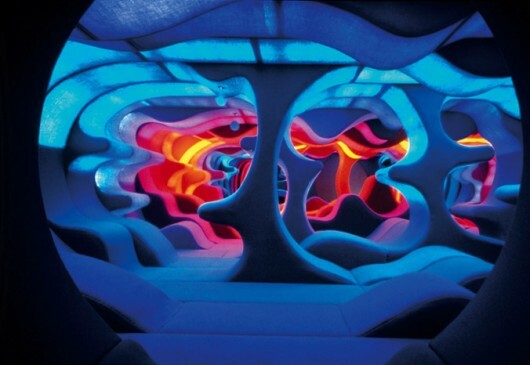 Verner Panton Visiona | Shelby White - The blog of artist, visual designer and entrepreneur Shelby White. 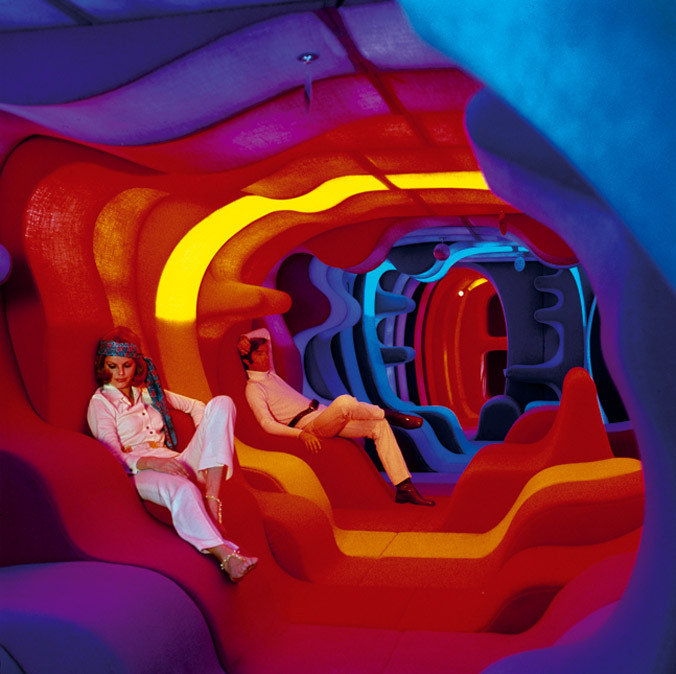 Experiencing the Sixties to mid-Seventies learning under Verner Panton would have been amazing. 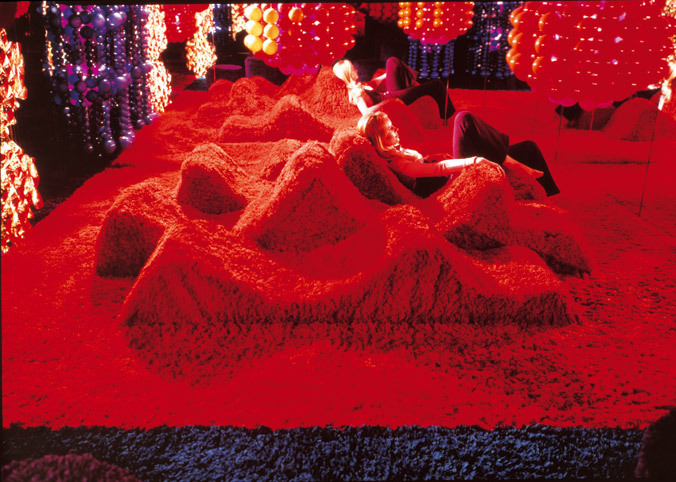 He was commissioned multiple times to design an exhibition for the chemical company Bayer. Each year the company rented a boat during the Cologne furniture fair and turned it into a temporary showroom. The designed by Panton were titled ‘Visiona’ and ‘Visiona 2’. Both showcased surreal organic interior home furnishings that consisted of vibrant colors. The word psychedelic is continually lingering in my mind and I do wonder his process of coming up with these color and shape choices. As you can imagine the day I begin designing my own home, reflections of this intriguing style will be present somewhere inside. It’s places like these that are unnatural that seem to be the best fitting for my ability to create things. Make sure to check out the videos after the jump to see a quick walk through. I recreated this image in 3d a while back for the start of my motion graphics showreel…Its amazing. Wow, what was Verner on? Probably not this planet :) These sets are… hang on, looking for the right word… GROOVEY. If only my place was like this. Ha! Mick, that was the word I should have used… Grooovy. @Adam, I’d love to see more compiled shots like you’ve done in the beginning of your showreel. if this was a drinking establishment, my wallet would be even emptier than it is now. 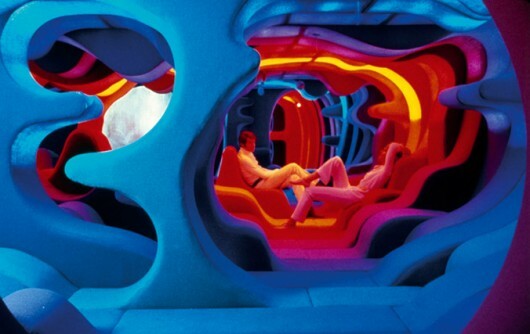 Love the quirky designs, and totally out there colour, really intriguing…what was he on? Great Imagination, love the fact nothing is square and box shaped. 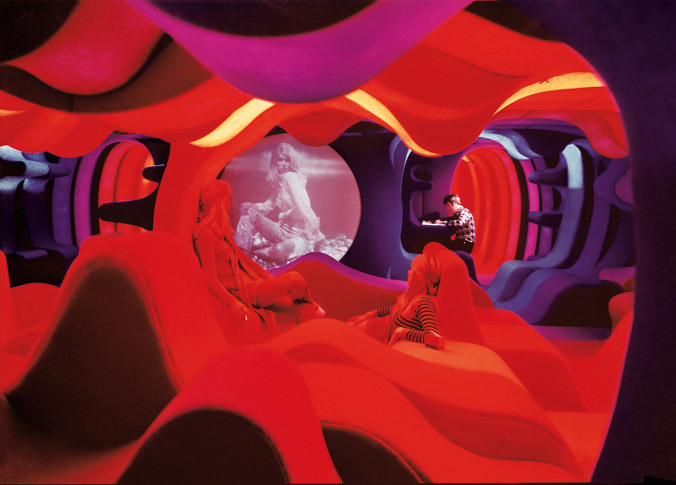 I have always been intrigued about why Verner Panton did not make any decor or scenery for movies, especially for sci-fi ones. 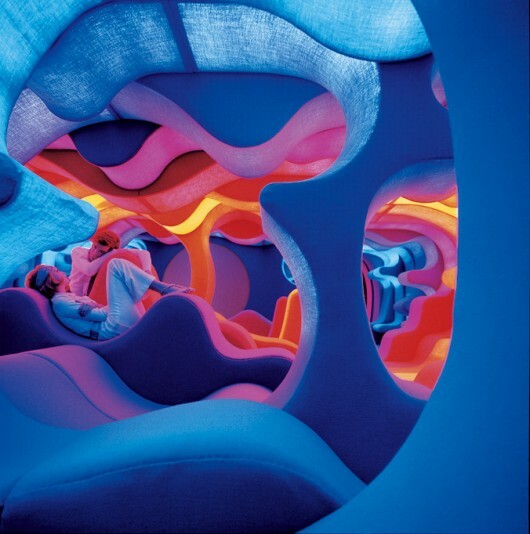 I searched a lot the Internet for any Panton collaboration with the seventh art but I could not find anything. A Visiona-like installation would have been so amazing for any dystopian film. On the other hand, it’s obvious that Panton has been a great inspiration for many film decors such as the time travel machine in Alain Resnais “Je t’aime je t’aime”. Super Kundenservice, gute Beratung, schnelle Lieferung binnen einer Woche. bei lokalen Händlern keinesfall erwartet! für weniger Geld gibt es nirgendwo anders! Also losgeht…schaut euch mal um! prices. You see really not difference compared to the original. others payed with bank wire lost all their money as Infurn is insolvent. to local furniture stores. So what are you waiting for? convincing quality, 2 years guarantee – more you get nowhere! get your orders! Forget waiting eternals for your furnitures! less money you get nowhere else! HI, THIS BLOG ID GOD INDEED. I would recommend to start with WordPress, tons of tutorials, online help, etc. But this is a world in itself, nothing is as easy as it seems and get prepared to sepdn time one on this paltftorm. So there’s almost no shock that various companies are generating a great deal of dollkars from Minecraft. a Beta version can bbe obtained for purchase.